With grave misgivings, the support of slavery beginning with benevolent aspects, hoping to give the people a better future from where they came; did indeed escalate to the commerce the buying and selling of people. While assumed people of ignorance, it is the ignorance of our culture, to take free people and enslave them into our free nation. Should we have so thought our culture to be superior to theirs? My thought of course is our founders did so as a method to bring these people to a better land, something better than savagery, however not expecting beyond such to develop into one of commerce. 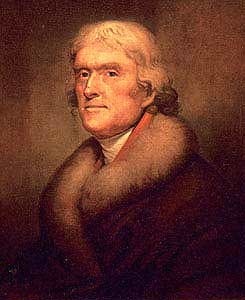 The intention of many, as in the case of Jefferson, was that of teaching skills and trades, giving these people a method of self –sufficiency. To this end, numerous were freed when it became safe to allow them to leave. One must understand the times, knowing well the dangers of freed slaves, vulnerable being not socially wise; dare I admit being saved upon a plantation, a better life for slaves. Freedom comes in forms, yet to keep one oppressed beyond the comfort of safe living, is by any standard under our creator, bad. Let a man think and work in free, protect only as he wants protection. Allow a man his beliefs, letting him express such as he chooses and do not impose upon a man your beliefs thinking your belief is of a higher form. Our creator allows all men to believe as he desires, understanding his roots in the universe and sharing the greatest virtue, love. It is from these beliefs, our sharing of love and peace, which brings us to this nation. No such person absent in their being such virtues need be here, not as I or we are better but it is against our foundations building blocks and cannot exist within a republic of freedom and liberty, the two cannot coexist. Now in this thought, I need ask why such people who live against our principles are allow to continue their practices without redress. 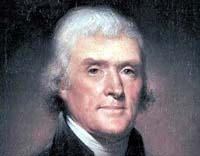 The wise and noble friend and patriot to freedom, Thomas Jefferson aptly wrote: “Single acts of tyranny may be ascribed to the accidental opinion of a day; but a series of oppressions, begun at a distinguished period and pursued unalterably through every change of ministers, too plainly prove a deliberate, systematic plan of reducing [a people] to slavery.” Do we ascribe to slavery of a people for profit or do we ascribe solely to ‘all men are created equal’ and should by this, be free? Ask by what means men are in slavery in this nation? A simple question with an answer complex in thought, philosophically universal, describes America today, whether agreed by the people or naught. The vulnerability of the slaves upon their immediate freedom in the 19th century, brought to its end, plantation slavery, the commerce of slaves for such bought labor, however, by regard did anyone cautiously free these slaves? The war’s end put upon the nation a new mass of people, skilled in laborious trades but lacking in most social skills. Greed and corruption found these vulnerable socially unwise people easy targets for exploitation. Such entities imposing their greed and corruption upon these people posed as benevolent individuals and entities, entrusting the freed slaves, causing them to trust, never realizing they only traded one master for another. Friends, you either do not realize this fact or deny it, the biggest corrupt entity is the democratic party. For their own means of support, they have traded men like cattle for decades, ah, centuries and yet the good patriots have allowed its existence. How do we call men free, and allow the same Democratic Party to expound on the rights of oppressed people, so far as to rally people for civil rights. The people understood civil rights yet again another event posed as good, only to convince them to be further enslaved. Do not believe in their false benevolent acts, they seek only to enslave, trading votes for programs. The enslaved shall never be free, until such commerce [of people] stopped. Every man needs to know and understand they are free, opportunities abound, prosperity is but a dream away, yet thousands, dare I say, millions are enslaved. The enslaved given services and money in exchange for servitude to the Democratic Party provides false hope, false kindness, with no benevolent expression. Dear friends, this party is enslaving us also, for they have us working out our dreams only to take it away in taxes, giving our money to the enslaved, trading our labor for the votes of the enslaved. This must stop, there needs to be a redress of such grievances, exposure of modern slavery. Slavery has become commonplace, a means by which one party can and does commit a crime against the citizens with no recourse or punishment. It is deliberate in nature, causing generations to be impoverished and under achieve. By law and common patriot decency, you cannot keep a man enslaved, yet these poor souls do not know freedom; show them real freedom, and give them freedom. Educate the masses, expose the common practice of slavery, give light onto the atrocities of modern slavery; do this wise in thought for freedom of all men.